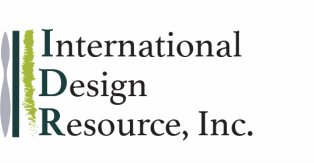 International Design Resource, Inc.'s President Peter Bilbrey and his staff are always there to help you find what you are looking for. Our goal is to provide outstanding service, selection, quality, pricing, and availability in order to satisfy each client. If you would like to stop by or call us directly, our San Diego, CA showroom is open Monday through Friday from 9 to 5 Pacific Standard Time. I.D.R., Inc. was founded in 1992 with the goal of providing a diverse range of fabrics & furnishings at reasonable prices to the Interior Design Community. We have grown dramatically throughout the years, adding different product lines & expanding our San Diego showroom along the way. I.D.R., Inc., filed papers of incorporation in 1998, and created one of the first industry web sites the following year. In 1999, we successfully began to expand our reach to include the Las Vegas market. Now, in 2016, we are pleased to include hospitality innovators such as MGM Resorts Int'l, Caesars Entertainment, Wynn Development, Hard Rock Hotels, Station Casinos, Boyd Gaming, Trump Casinos & many other gaming giants among our valued clients.